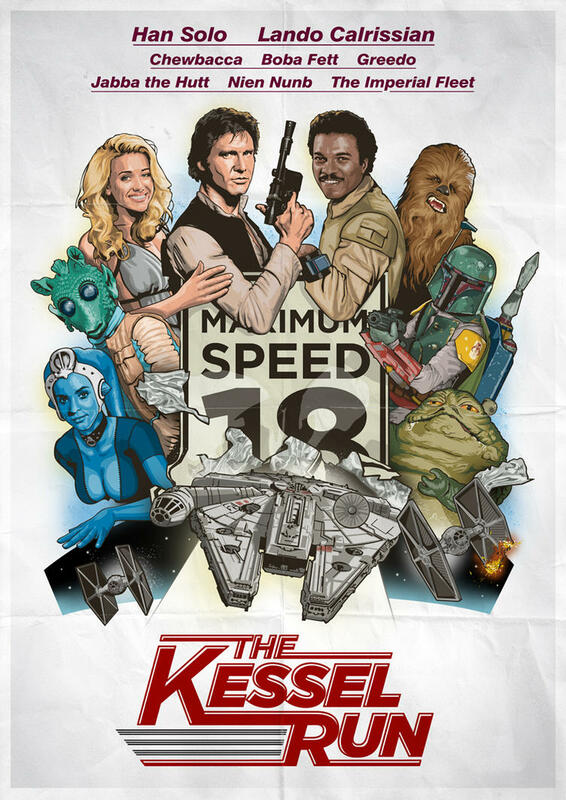 A Star Wars / Cannonball Run Mash Up Poster. Posted on June 11, 2012 by Big Red	in Funny Booty, Geeky Booty and tagged cannonball run, cannonball run posters, deviant art, kessel run poster, old red jalopy, pop culture, star wars, star wars posters. This is one of the greatest posters ever created. Check out more work like this by OldRedJalopy. ← The Little Irish Pug That Couldn’t Feckin’ Run.